The Executive Deluxe rooms at Krishna Inn elevate your hotel experience. Guests will benefit from a plush king sized bed, the ensuite bathroom, in-room business facilities, & the compact dining table & comfy sofas. In addition to standard facilities, several upgraded amenities are provided. These elegant executive deluxe rooms form the perfect base for your stay in Guruvayur for business or pleasure. 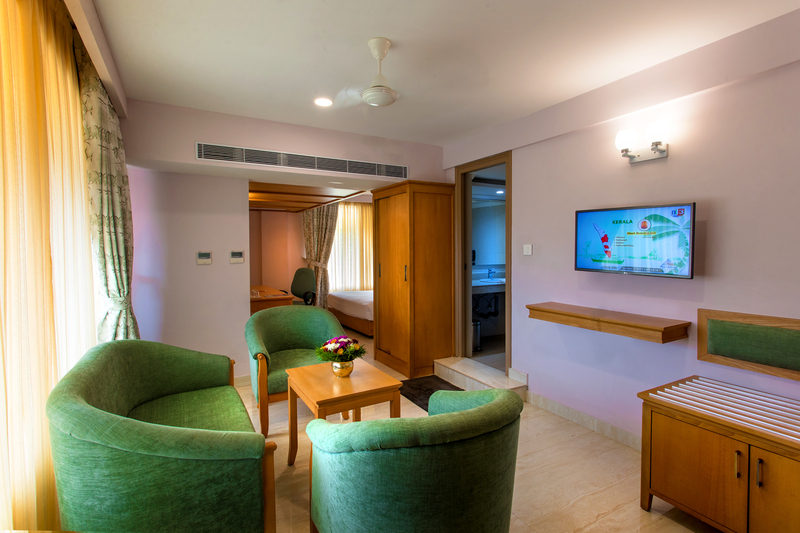 The elegantly designed and beautifully furnished rooms are synonymous with luxury, comfort and style and provide the pinnacle of comfort and sophistication in a modern contemporary environment.